Regional government expects the Portland area's organic waste will be turned into energy after requiring major establishments to begin separating it out from their trash and other recyclables. Businesses and educational institutions with sizable food operations have until Sept. 28 to respond to proposed regulations by Metro to phase in mandatory recycling of food scraps in the Portland area. The elected Metro Council voted on July 26 to require larger entities to separate out their food waste, which then will be trucked to a processing facility to be converted into energy. Covered facilities are those that "cook, assemble, process, serve, or sell food or do so as service providers for other enterprises," according to the draft regulations. The policy will apply to cafeterias, caterers, colleges and universities, correctional facilities, bars, elementary and secondary schools, food product manufacturers, food service contractors, restaurants, grocery stores, grocery wholesalers, hospitals, hotels, nursing and residential care facilities, retirement and assisted living facilities, specialty food markets and warehouse clubs. Local governments under Metro's authority must adopt requirements for solid waste haulers to participate in the program by July 31, 2019. • Businesses that generate more than 1,000 pounds per week of food waste must begin source separating and recycling the waste between March 31, 2020 and March 31, 2021. • Businesses that generate 500 to 1,000 pounds per week of food waste must begin source separating and recycling the waste between March 31, 2021 and September 30, 2022. • Businesses that generate 250 to 500 pounds per week of food waste must begin source separating and recycling the waste between September 30, 2022 and September 30, 2023. 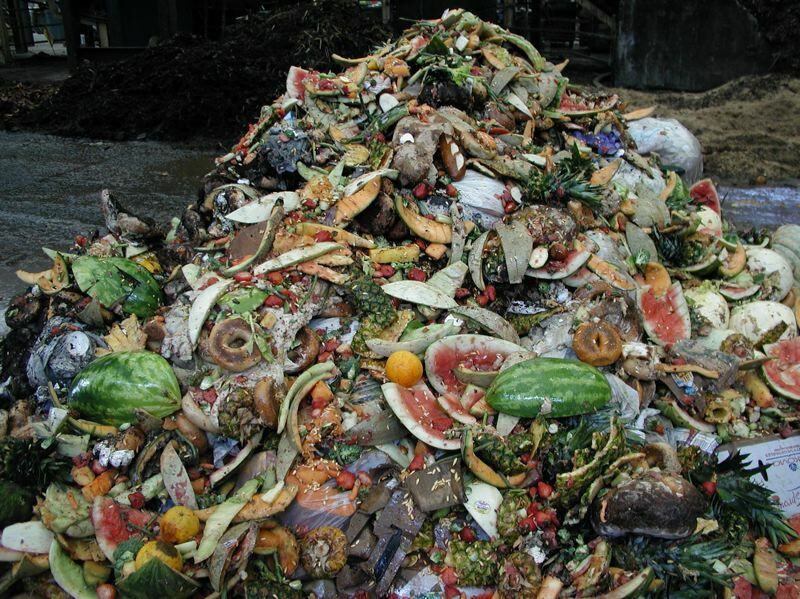 Food waste, under the draft rules, means "waste from fruits, vegetables, meats, dairy products, fish, shellfish, nuts, seeds, grains, coffee grounds, and other food that results from the distribution, storage, preparation, cooking, handling, selling or serving of food for human consumption. Food waste includes but is not limited to excess, spoiled or unusable food and includes inedible parts commonly associated with food preparation such as pits, shells, bones, and peels." The draft regulation provides some exemptions: "Food waste does not include liquids or large amounts of oils and meats which are collected for rendering, fuel production or other non-disposal applications, or any food fit for human consumption that has been set aside, stored properly and is accepted for donation by a charitable organization and any food collected to feed animals in compliance with applicable regulations." Local governments that only have five or fewer covered businesses within their boundaries also are exempted. The policies apply to food waste "that is controlled by the business, agents, and employees." That appears to give schools and other businesses some leeway from recovering all the food scraps directly discarded by students and customers: "At its discretion, a covered business entity may also collect food waste from customers or the public but must ensure that food wastes are free of non-food items. K-12 schools may also include student-generated food waste from school cafeteria meals but must ensure that food wastes are free of non-food items." Food scraps policy comments, Metro, 600 N.E. Grand Ave., Portland, OR 97232. Include your name, contact information and company or organization, if applicable. Please note the sections of the rules your comments pertain to. There also will be a public hearing at Metro Regional Center on Wednesday, Sept. 26, from 9 to 11 a.m. The rules are slated to take effect soon thereafter.